We're already feeling spring style fever and are eager to start stocking our closets with a handful of the spring fashion trends of 2018. It's time to shed those thermal layers (finally!) in favour of stylish items that can carry us through the summer. 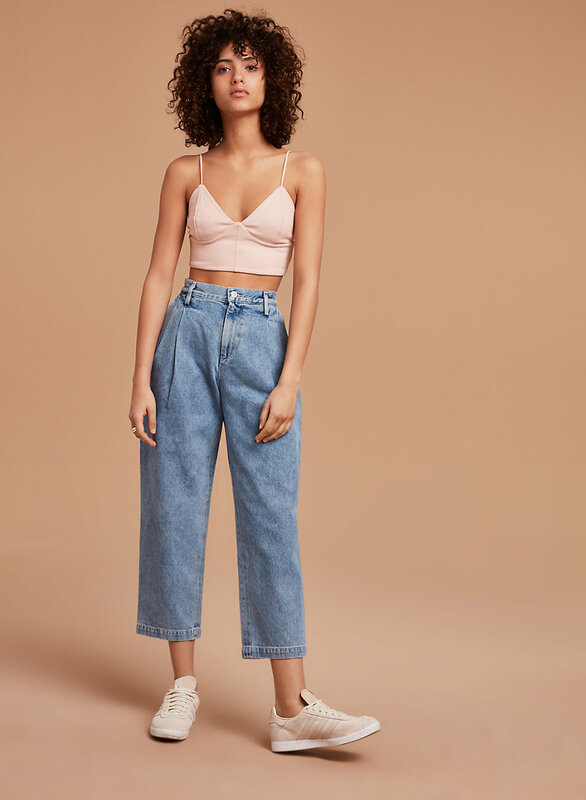 Check out our favourite spring fashion trends below, and get ready to say buh-bye to those heavy coats and sweaters, not to mention those dull colours! 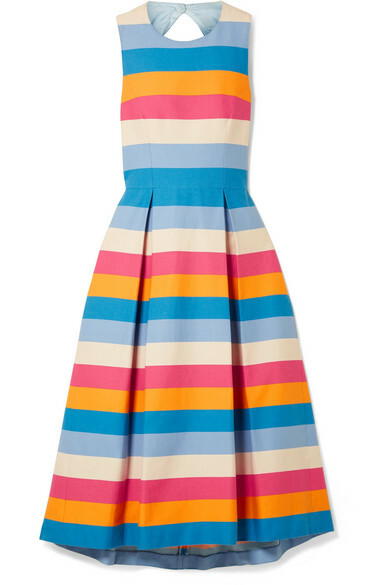 Not just for kindergarteners and Pride parades, rainbows are at the top of our list for spring style essentials. Sneaker heads will flip out over Nike's Sean Weatherspoon Air Max 1/97 VF SW, while Tabitha Simmons offers a daintier take for our tootsies with her Rainbow Sandal Pumps. We love the elegant ease of Carolina Herrera's rainbow-striped cotton and silk dress, and Cult Gaia's Rainbow Ark Clutch. Whether or not you rocked them in the 1980s, these hip-hugging pouches are back with a vengeance, (and some hands-free practicality to boot!). We're obsessing with Gucci's updated version of the fanny pack, and we've also got our eyes on this eco-chic Classic Belt Bag in Pinatex from Hipsters for Sisters (yes, that pineapple leather alternative! 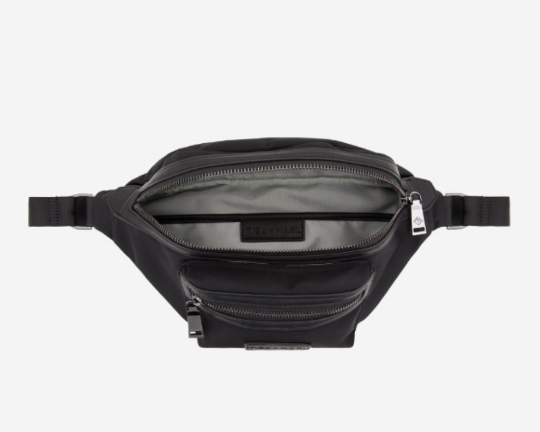 ), and this faux leather metallic fanny pack from Tiba + Marl (bonus: this style wipes clean inside and out, making it perfect for parents!). Neutrals are always on our list of seasonal must-haves, and the best part is they're the classic complement to spring's varied splashes of colour and prints. We're shopping Canadian for this pretty white Hilary MacMillan dress, and Aritzia's simple T-shirt style dress in denude, as well as a dainty Eyelet Midi Dress from American brand Sam Edelman. It's time to celebrate spring with shocking pinks, bright greens, and Gen Z yellows. 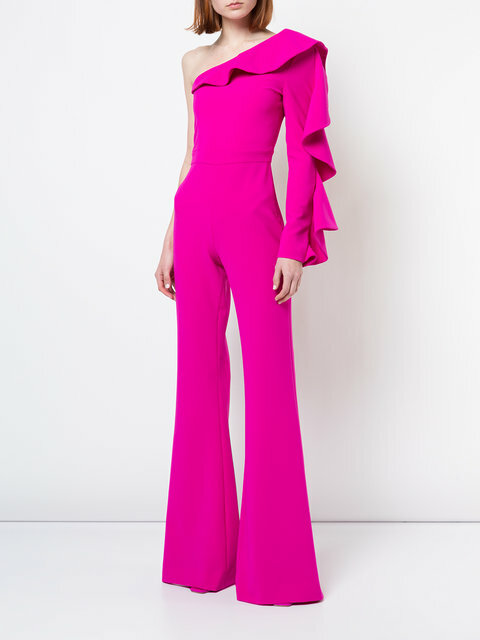 We can't stop thinking about Christian Siriano's pink silk one-shoulder jumpsuit, David Dixon's glamorous gowns in a similar hot hue, and Smythe's Portrait Neck Blazer in Kelly Green. Want a more eco- and fiscally conscious way to wear spring 2018's newest trend? Rent Narces' Sunflower Two-Piece from our friends at Fitzroy Studio (and yes, they deliver across Canada!). Another iconic '80's style icon has resurfaced this spring, and we're already trying to calculate how to afford the dreamy Cannes Midi Dress from Temperley London, or the Black Silk Deconstructed Corset Dress from Olivier Theyskens. 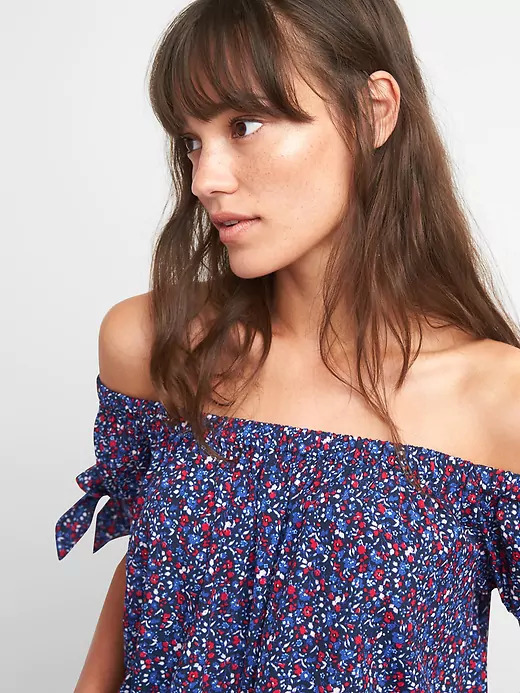 Perhaps we'll start with the Ling Bustier from Wilfred Free (on sale for a much more accessible $32 at Aritzia), or save for the Simoes Strapless Bustier Mini Dress from Alice + Olivia. We've got boho on the brain now that Coachella is just around the corner and it seems the rest of the fashion set does as well. We're mesmerized by this Cucculelli Shaheen sheer chiffon gown with crystal constellation embellishments (but you have to be loaded to buy it), and pretty much everything that came down the runway at Etro's spring 2018 show. One purchase we'll definitely be making? This go-with-everything Free People Rising Sun Maxi Kimono. We spotted florals-a-plenty floating down the spring 2018 runways, including retro-inspired prints at Marni and Marc Jacobs. We're particularly coveting this Zimmermann Golden Surfer Dress (OK, we want their entire collection! ), as well as this super cute Gap Floral Tie-Sleeve Off-Shoulder Top to pair with our favourite denim for spring. 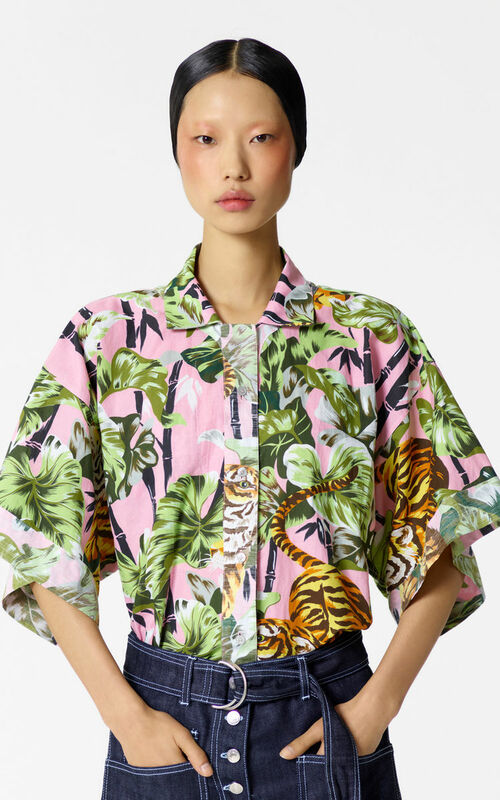 Whether you're a fan of animal, bird, or tropical plant prints, there are so many perfect spring pieces to choose from. We can't wait to rock Red Carter's Perth Tie Front Top with its edgy blend of print and stripes and its matching asymmetrical skirt, or this Alice & Olivia tropical leaf wide pant and matching cami, and we're seriously obsessing over Britney Spears' resurgence as Kenzo's muse and their collaborative collection of tiger print florals! A palette of Easter egg-inspired pastels gets us excited about all things spring, and we're particularly partial to this Pink Tartan Tailored Welt Pocket Jacket and Flare Cuffed Trousers in the prettiest of pinks. Pastels dotted the runways at Cavalli, Armani, and Chloe to name a few, and we're daydreaming about the latter's Embellished Pintucked Broderie Anglaise Linen and Cady Blouse in the perfect shade of peach. We're all about streetwear for spring, and we loved the plaid that went down the runway at Public School (a nod to 1990s grunge, perhaps? ), and the XL menswear sweater styles we're seeing everywhere like this Zara Oversized Faded Hoodie or this Raf Simons Black Classic Oversized Sweater. 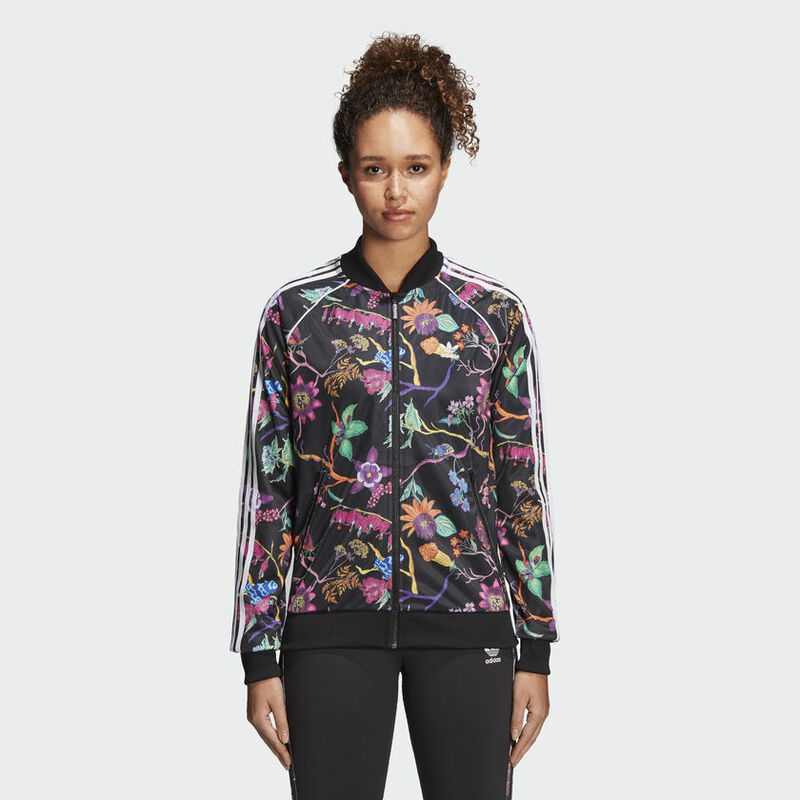 Our loyalty to the ultimate streetwear essential, the trackie, only grows stronger with updated spring styling from Mui Mui and Adidas.